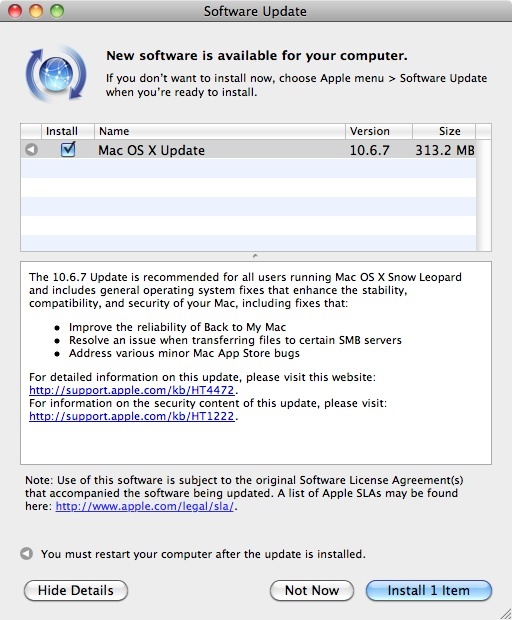 Today, Apple has released Mac OS X 10.6.7, the latest service pack update for Mac OS X 10.6 Snow Leopard. In addition to numerous minor bug fixes, Mac OS X 10.6.7 also improves the reliability of the Back to My Mac feature (requires a MobileMe account, $99/year and rumored to be going free later this year), corrects an issues with transferring files to Windows PCs and Servers using the SMB protocol, and lastly, corrects some Mac App Store bugs. 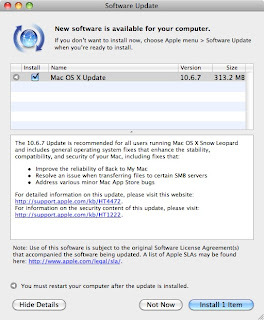 Mac OS X 10.6.7 is available now by running the Software Update control panel in the Settings application.